• how to interpret results. 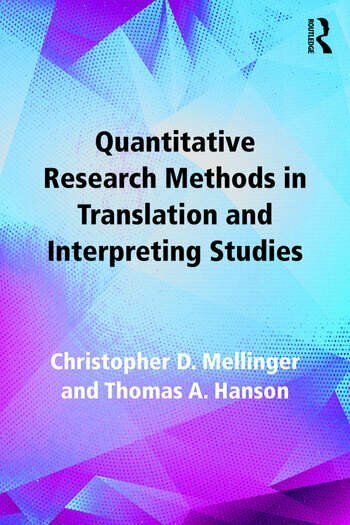 This user-friendly guide is the essential primer on quantitative methods for all students and researchers in translation and interpreting studies. Accompanying materials are available online, including step-by-step walkthroughs of how analysis was conducted, and extra sample data sets for instruction and self study: https://www.routledge.com/9781138124967. Further resources for Translation and Interpreting Studies are available on the Routledge Translation Studies Portal: http://cw.routledge.com/textbooks/translationstudies. Christopher D. Mellinger is Assistant Professor of Spanish at Walsh University, USA and the managing editor of the journal Translation and Interpreting Studies. Thomas A. Hanson is Assistant Professor of Finance at Minnesota State University Moorhead, USA.